We've reached a pretty dark time in the history of this great event. Beware! I hated this show. HATED it. Survivor Series 1999 is very high on my all-time worst PPVs list. It's just pure tripe almost from start to finish, and full of half-assed short-attention-span bouts. Plus the much anticipated triple threat between the WWF's top three stars ended up not happening as planned due to one of them being unable to compete prior to the show, thus necessitating an incredibly stupid injury angle. Shane and Steph are very concerned. Imagine how Vince must've felt. The Godfather, D-Lo Brown and The Headbangers faced The Dudley Boyz and the Acolytes. Godfather and D-Lo won in a quick and forgettable nine-minute bout. Val Venis, Mark Henry, Gangrel and Steve Blackman faced The British Bulldog and The Mean Street Posse. Now, both these teams were comprised of heels who had zero beef with each other, so there was no reason for this match to even happen. Not to mention the Bulldog had just begun a feud with Test stemming from a backstage segment at a UK PPV, where Bulldog threw a temper tantrum and accidentally hit Test's girlfriend Stephanie McMahon with a trash can. So if anything it should've been Test vs. Bulldog in some form. But Test wasn't even booked on the show. Makes sense. Venis and Henry won this stinker. The third elimination match ended up being a 1-on-4 handicap match due to The Big Show beating up his three partners (Kaientai) prior to the match. So he was on his own but managed to eliminate Mideon, Prince Albert, and Viscera in the first minute, leaving captain The Big Bossman to take a countout loss. Waste of my life. The fourth Survivor Series match was the only watchable one, pitting Edge/Christian and The Hardy Boyz against Bob & Crash Holly and Too Cool. This was an entertaining, fast-paced match but the wrong team won, as Bob Holly was the only survivor. Given that the Hollys only lasted a few months as a team it probably would've made more sense for the E&C/Hardyz team to win this. Additionally there was an 8-woman one-fall match that ran just under two minutes. I have no earthly idea why this was even included on the card. There were five regular matches on this travesty of a PPV. Kurt Angle made his WWF TV debut against Shawn Stasiak. Why did this need to be a separate match, and why was Stasiak booked on this show when Test wasn't? Former partners Kane and X-Pac had just split up when X-Pac turned heel, and they had a 4-minute throwaway match with a lame DQ ending on this show. Why did this need to be a separate match if it was just going to be a short disqualification? Give Kane and X-Pac teams and make it a Survivor Series match, for the love of Christ! Chyna defended the I-C Title against Chris Jericho in a match that was pretty decent. Oddly despite Jericho's obvious heel tactics throughout this feud, he ended up winning the crowd's sympathy, while Chyna was starting to be exposed as a mediocre worker. The New Age Outlaws defended the Tag Titles against Mankind and Al Snow for some reason. The match was okay but not PPV-worthy and given the lack of a title change once again begs the question: why did this need to be a separate match? Finally the Triple Threat main event originally scheduled to be Triple H vs. The Rock vs. Steve Austin was derailed when it was learned that Austin needed neck surgery. To explain his absence they staged an angle where Austin chased Triple H into the parking lot and was then run down by an unknown driver, sending him to the hospital. Austin's sub for the match ended up being The Big Show, who unexpectedly won the WWF Title in a pretty good match. This was a bold move, but after a few weeks it was clear the company wasn't ready to get behind Big Show as a serious champion - at December's Armageddon PPV, Show defended against The Big Bossman (hardly a worthy challenger) in a three-minute squash. Show dropped the belt back to Triple H on January 3, 2000. Hey look it's 3/4 of next year's WrestleMania main event! 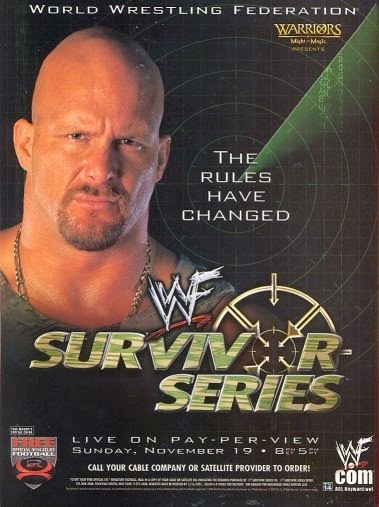 Survivor Series 1999 was the ultimate example of the WWF taking the awesome Survivor Series concept and watering it down to the point of absurdity. I couldn't even give you much of a background on this show because most of the matches were devoid of purpose. The elimination matches were essentially booked as obligatory tradition (the one match built around an actual feud lasted under two minutes), and the rest of the bouts were either rushed or underwhelming, resembling your standard RAW fare. This is easily one of the worst shows I've ever seen. What I'd Change: Everything. Kurt Angle should've been on someone's team, Kane and X-Pac should've been opposing team captains, Test and Bulldog should've either had a singles match or been opposing captains, the Tag Title participants should've been on opposing teams. Basically every match except the World Title match should've just been a traditional Survivor Series match built around the various feuds. Ten matches on a three-hour show is too many, especially when most of them don't even need to happen. Most Disappointing Match: The whole show was a disappointment really. Most Pleasant Surprise: At the time I liked seeing Big Show win the belt. That wore off fast though. Better than WrestleMania XV and/or SummerSlam '99? - No on both. And that's saying something considering just how low 'Mania 15 set the bar. The 2000 edition was a very frustrating one for me. I had really gotten fed up with the lack of emphasis on elimination matches and how chintzy they had become. The roster in 2000 was so stacked they could've effortlessly put together a good old-school Survivor Series card, but instead they went with a slew of regular matches and only two rather short elimination bouts. The opening match was a six-person tag that could've easily been turned into an intergender elimination match by adding a member to each team. Steve Blackman, Crash Holly and Molly Holly faced T&A and Trish Stratus. This went only five minutes and was a rather vexing inclusion to the lineup. The first elimination match was next as The Radicalz (Chris Benoit, Eddie Guerrero, Dean Malenko and Perry Saturn) took on Road Dogg, K-Kwik, Billy Gunn and Chyna. It was a fairly one-sided affair mostly designed to give the Radicalz something to do. Benoit and Saturn won the match, but this wasn't great. Benoit would regain some footing the following month by capturing the I-C Title from Billy Gunn. Third was one of the few bright spots on the card as Kane and Chris Jericho had a very entertaining midcard match. I say this a lot, but they probably should've just captained opposing teams. Still this was a solid outing which was sadly followed by a lame Last Man Standing match the next month. Another pointless match was next as William Regal defended the European Title against Bob Holly. Since the opening match featured six people and this match featured two, and both matches sucked, why couldn't they have been combined into one elimination match, hmmm? The midway point featured the first bout of the "triple main event," as The Rock faced turncoat/cousin Rikishi. The background of this rather ill-conceived feud dates back to Survivor Series 1999. Remember how Steve Austin was run down by a mystery driver to explain his year-long absence from TV as he received spinal fusion surgery? Leading up to his return they finally revisited this angle to establish a payoff. 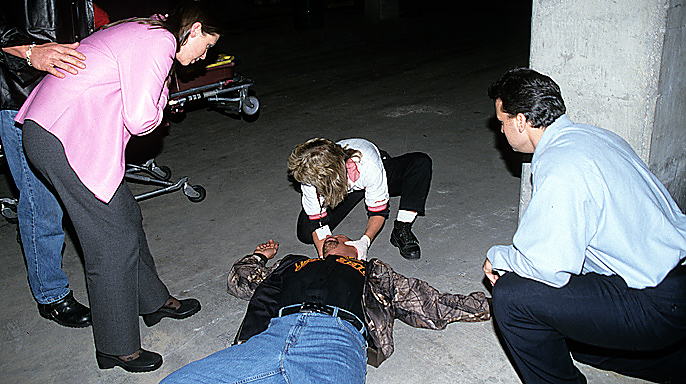 There was a two-episode RAW arc where Commissioner Mick Foley questioned everyone who was in the building the night of the incident, and it was established the driver of the car had blond hair. Now it seemed like all signs were pointing to Shawn Michaels being the culprit, which had me all in a tizzy (I discounted Triple H since he was far too obvious a choice - more on that later). But as it turned out, Rikishi was the mystery driver. Incidentally, Rikishi had literally just debuted on television the day before Survivor Series '99. So this guy who had just joined the WWF decided to run over the top star in the company, to help out his cousin The Rock, who was the company's number-two star? I mean in a way it makes sense, but it was pretty effin' thin. Plus, no one wanted to boo Rikishi. He was an amusing babyface character who generally lightened the mood with dancing and occasional comedy spots, but could still hold his own in a good stiff match. There was no business reason to turn him heel, and doing so undermined his whole persona. 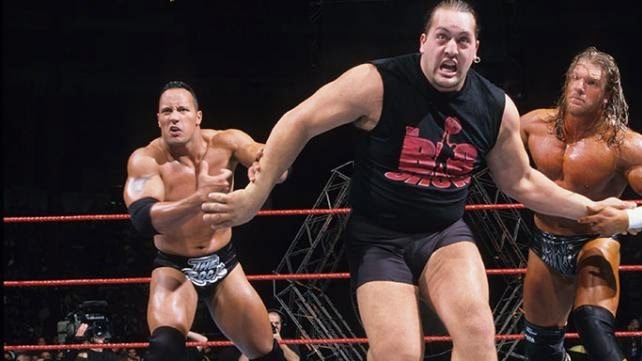 So Rikishi fought a returning Steve Austin at No Mercy 2000 in a brief no-contest, then later in the night attacked The Rock, costing him the WWF Title. Ummmm, wasn't your whole motivation supposed to be to HELP The Rock? Shortly thereafter on RAW it was revealed that Rikishi was working for someone else, who paid him to run down Austin (the result of the company panicking when Rikishi's unwanted heel turn didn't light the world on fire). That someone else? Triple H. The most obvious guy to want Austin out of the way in 1999. Really? Has no one in this company ever watched a murder mystery? This was so poorly written it was actually comical. So now Rock wanted revenge against Rikishi, and Austin wanted revenge against Hunter. The Rock-Rikishi match was not great, and Rikishi lost clean in eleven minutes. So much for that main event heel push, huh? Rikishi had one more big moment at Armageddon when he took a bump off the top of the Cell onto a flatbed truck, but by January 2001 he was back in the midcard and was soon a babyface again, albeit one who seldom appeared on PPV. So essentially this heel turn ruined what had been a very over babyface character. Before we get back to Austin vs. Triple H, let's watch Ivory and Lita have a throwaway Women's Title match. Lovely. Angle was already starting to become awesome. 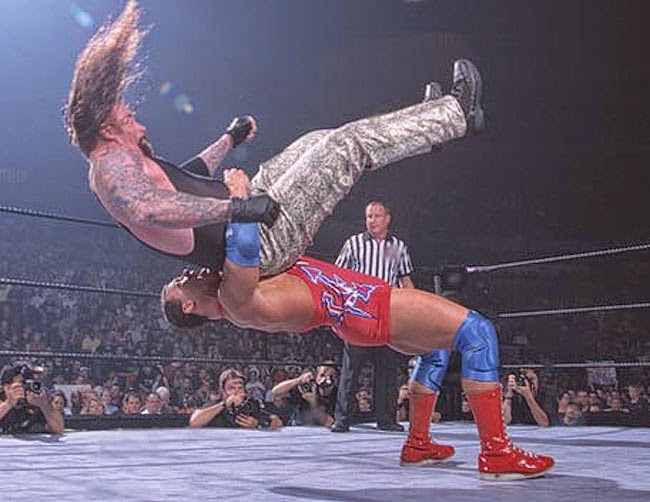 The second part of the "triple main event" featured new WWF Champion Kurt Angle defending against The Undertaker, in the first of several good matches these two would have over the years. Angle played the unproven, cowardly heel champ, in over his head with the veteran brute. The ending to this match was perfect, as Angle pulled the ol' switcheroo with his lookalike brother Eric to cause a distraction and pin Taker with a rollup. Good match, great booking. The other elimination match was next and ONCE AGAIN featured two teams vs. two other teams. The Hardy Boyz and Dudley Boyz faced Edge & Christian and Right to Censor (one of the worst gimmicks ever - the Parents' Television Council had targeted the WWF as inappropriate for children and tried to get them kicked off TV, so Vince created a stable to parody the group). This match featured some good action (given the inclusion of the company's three best tag teams, how could it not?) but was too short to be great. Finally we come to the actual main event of the show, where Austin would get some revenge on Hunter for paying another guy to run him over. This match went a staggering thirty minutes and mostly featured pretty nondescript brawling. Eventually the action spilled out into the arena, backstage, and finally into the parking lot. Austin was attacked by the Radicalz allowing Hunter to escape to his car, but suddenly disappeared. After a seemingly endless few minutes Austin reappeared in a forklift, picked up Triple H's car with Hunter still inside, and dropped it from about thirty feet in the air. The car landed on its roof which should surely have killed him. So the top babyface in the company was, at the very least, guilty of attempted vehicular homicide. That's super booking. The next night Hunter appeared on RAW virtually unscathed. Seriously. In case it wasn't evident, I hated this whole situation. Hunter's fine though. Really, just a scratch. As with wrestling matches meant to settle real-life legal disputes, a wrestling match should pretty much never involve car crashes, falls off rooftops, or any other scenario that would in real life result in a person's death. Not only does it strain disbelief to the point of shattering (surely Austin would go to jail for such an egregious offense, otherwise why not use a gun next time? ), but it simply doesn't have a place in this type of sports-related escapist entertainment. This didn't work for the same reasons the Brian Pillman gun angle didn't work. These characters exist in a self-contained universe where the ultimate retribution for a hero to seek against a villain is a one-on-one contest inside a 20x20-foot ring (or some variation thereof). When you start incorporating real-world methods of actually killing a person it kinda cheapens the whole idea of a wrestling contest having any weight or consequences. "Forget trying to pin your shoulders to the mat for three seconds, I'm just gonna push your car off a cliff with you in it! Hell, there's no disqualification, so why not?" So this Austin-Triple H feud began with a stupidly written whodunit angle and for the time being ended with the hero trying to murder the villain. That's just swell. At least Austin and Triple got one great match out of this whole ordeal, at No Way Out 2001. 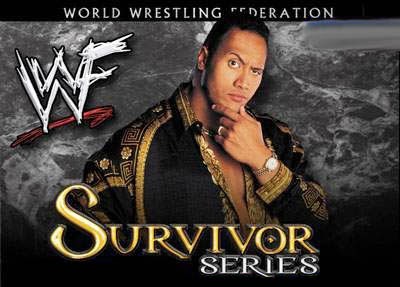 Survivor Series 2000 was a pretty crappy show overall, with only a few good matches and a main event that completely crossed the line. Had they taken the traditional approach this could've been really great, but it was still the Attitude era, so stringing together a card of good elimination matches was soooooo uncool. What I'd Change: For Chrissake, how 'bout a Survivor Series card? The main event should've been Austin/Rock/Dudley Boyz vs. Triple H/Rikishi/Edge & Christian. That would've been amazing, and worthy of a 30-minute running time. Then add Jericho/Bob Holly/Matt & Jeff Hardy vs. Kane/Regal/Goodfather & Buchanan, and you'd have three big elimination matches, a World Title match, and a women's match. Done. Better than WrestleMania 2000 and/or SummerSlam 2000? - That's a negative. The 2001 installment was the big blowoff to the most disappointing wrestling angle of all time, The Invasion. The WWF had purchased WCW in March of 2001 and retained all their talent, except the guys everyone wanted to see fight the top WWF stars. Hogan, Flair, Sting, Goldberg, Nash & Hall were all still under contract to Time Warner for another year and would've apparently cost too much money (for this billion dollar entertainment juggernaut). So instead the top WCW guys Vince got were Booker T (fine wrestler but still unproven as a main eventer), Diamond Dallas Page (who got killed dead by The Undertaker in his first WWF program), and Buff Bagwell (No I'm serious, they thought he was gonna be a WCW cornerstone. Unbelievable.). To supplement the rather anemic WCW contingent Vince merged them with all the former ECW talent, calling them The Alliance, and made the WWF Champion Steve Austin their leader. Because if anyone in the company would want to bring down Vince and the WWF, it's the guy who became a pop culture icon thanks to Vince and the WWF (this would be like Sting becoming the leader of the nWo in 1996). For three months the non-WWF wrestlers were made to look like total chumps, with the exception of the white-hot Rob Van Dam who, despite being part of the heel anti-WWF faction, was the most popular guy in the company. As a result this whole angle died a slow death, and Survivor Series 2001 was a way of putting it out of everyone's misery. The main event was a traditional elimination match (for the first time in eight years), where the losing team would cease to exist as a wrestling organization, and its members would all be fired (unless they possessed championships or won the Immunity Battle Royal, or it just didn't make sense for them to be written off TV). The first match was a throwaway featuring European Champion Christian (an Alliance guy) beating Al Snow (a jobber guy). This was your standard RAW-quality match. Next was a complete waste of time as turncoat William Regal (one of several WWF guys who joined The Alliance for seemingly no reason) handily defeated rising star Tajiri in under three minutes. Hey, how 'bout instead Tajiri challenges Christian? That would've been great. Third was a unification match for both the WWF I-C Title and the WCW US Title. The WWF's Edge fought The Alliance's Test in a pretty solid eleven-minute match. Edge walked away with both belts, but we'd see more of Test on this show. The first noteworthy match was next as the WWF and WCW Tag belts would be unified. The Hardy Boyz faced The Dudley Boyz in a Steel Cage match. This could've been a little better, but it was still very watchable and featured fine Hardyz-as-underdogs storytelling. The Dudleyz won the match to ensure they'd still have jobs. Test then reappeared on the show to redeem himself by winning the Immunity Battle Royal, thus keeping his job if the WWF happened to win the main event (given that Christian, the Dudleyz and Test were all fairly important WWF-signed Alliance characters who were now immune to firing, you could kinda see which way this was headed). 'Scuse me for a sec....TRISH I F*CKIN' LOVE YOU! Next up, Trish Stratus put herself on the map as a serious women's wrestler by winning the belt in a six-woman elimination match (which somehow only lasted four minutes). The match was forgettable but Trish's genuine emotion at finally becoming Champion made for a nice moment. Finally we arrived at the main event, and for the first time since 1993 the main event of a Survivor Series card was an actual Survivor Series match. Team WWF - The Rock, Chris Jericho, Undertaker, Kane and Big Show faced Team Alliance - Steve Austin, Kurt Angle, Rob Van Dam, Booker T, and Shane McMahon (yup, three out of the five were WWF stars). This was one helluva main event elimination match, spanning nearly 45 minutes and boiling down to WCW Champ The Rock vs. WWF Champ Steve Austin. The whole match had an epic feel to it, and was a fitting end to a big money angle (even if the angle itself sucked harder than an industrial strength ShopVac). My only problem with the match itself was this: the participants entered individually, in the order they would eventually be eliminated. Everyone got knocked out of the match according to their position in the team's hierarchy. On Team WWF it went Big Show, Kane, Taker, and Jericho. On Team Alliance it went Shane, Booker, RVD, Angle, and finally Austin, leaving Rocky as the sole survivor. This was simply way too predictable and the bout just became an exercise in how to execute a good Survivor Series match. One of the most stacked-but-pointless matches ever. The aftermath of this show was of course utterly ridiculous. Pretty much every Alliance member (even those not holding a championship) would be back on television within a few months anyway, all the big-name WCW talent Vince had been too cheap to sign in 2001 ended up signing as soon as their contracts were up (Ric Flair showed up on RAW the very next night! ), and Kurt Angle, despite being revealed as a WWF mole who singlehandedly saved the WWF from extinction, went back to being a heel, as the Alliance's heel leader Steve Austin immediately became the top babyface again exactly one night after his attempt to destroy the company failed. This is what's known as a reset. The Invasion Angle would go down as the worst-botched in wrestling history, and had Vince just bought out all the top WCW talent it could've been a self-writing masterpiece. Imagine the magnitude of a Survivor Series headlined by Steve Austin/Rock/Undertaker/Kurt Angle/Chris Jericho vs. Hulk Hogan/Goldberg/Ric Flair/Sting/Booker T. Just epic. This show was middle-of-the-road, even without the terrible setup. The main event was very good and a couple of the title matches were solid, but the rest was throwaway fluff. What I'd Change: The entire Invasion (Hmm, maybe a Wrestling Do-Overs column is in order....). Also the first match should've been Christian vs. Tajiri and the extra time saved could go to the Women's match. Most Disappointing Match: Oddly the main event just because of how predictable it was. Christ, mix it up a little, will ya? Most Pleasant Surprise: That Trish Stratus could actually wrestle! She would of course go on to become arguably the greatest women's wrestler of all time. Better than WrestleMania X-Seven and/or SummerSlam '01? - Not even close. That right there is a pretty bad stretch of Survivor Series events. But bring it on back here for the next installment and we'll see if things get better..............................SPOILER ALERT: They don't. Thanks for reading! 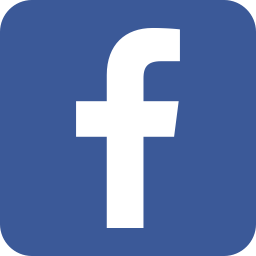 Follow us on Facebook, Twitter, Google+ and YouTube!